Waxed essential candles create zones of serenity in a busy world as elemental fragrances help restore a base of inner balance and stillness. When lit, the entire cubic form exudes an almost magical glow as the wax slowly releases the rich aromatics of natural essentials. A great candle for connectability, helping you accept others and new experiences. 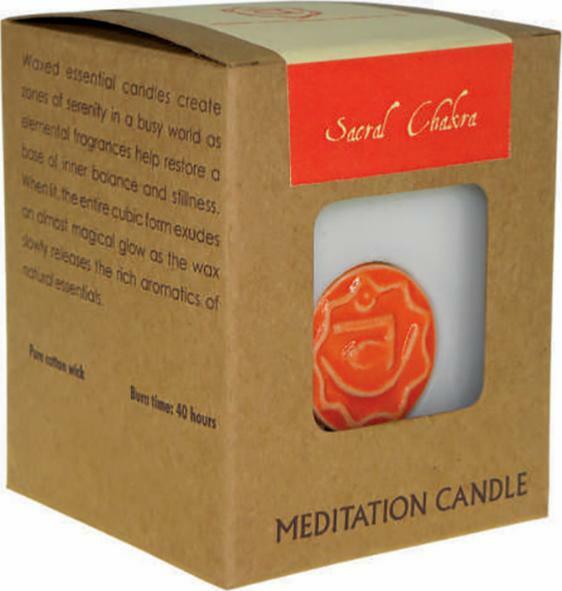 A purchase of this candle helps support over 10,000 families in India. It also helps support kids who are very poor and have lost one or both of their parents by providing schooling. Funds from the sale of this candle helps pay school fees, transportation, uniforms, stationery, extra tuition when needed, medical care and any other things required to help those children prosper in their individual vision.